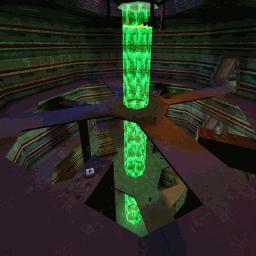 This is a good concept of what Doom3's multiplayer map, Reactor Core, is like. Lighting is a little bland, giving off a "white saturation" feel to it. There were decorations, but not many. Good weapon and ammo placement, but most health was scattered around. It's a pretty good map if you don't care about too much eyecandy.